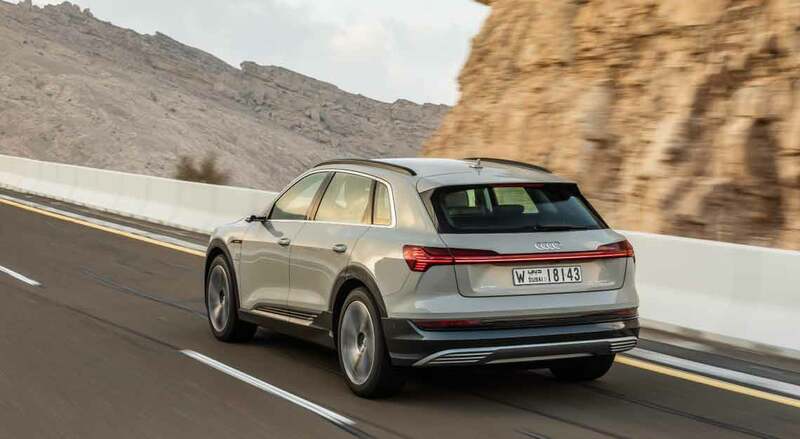 On the surface of things, the Audi e-tron, Ingolstadt’s first mass-production, mass-consumption vehicle, shouldn’t cause too much of a fuss. You can thank Elon Musk and Tesla for inuring us to the notion that electric cars are now a viable replacement for internal combustion vehicles. However, 408hp, 664Nm, a benchmark sprint time of 5.7 seconds, enough room for five passengers, a 660-litre boot and range in excess of 400km with support for DC-based quick charging (0-80 per cent in approximately half an hour) isn’t earth-shattering news anymore. Rather, it’s the bare minimum required to be competitive in a segment that’s only going to heat up in the next few years. While it’s just a concept car for now, BMW plans to put the iNext on the roads by 2021; Mercedes-Benz has the EQC arriving this year. Ditto the Porsche Taycan (a mid-2019 launch is expected), and it’s seeing such strong initial demand for the car, it’s increasing production beyond its original estimate of 20,000 vehicles per year. 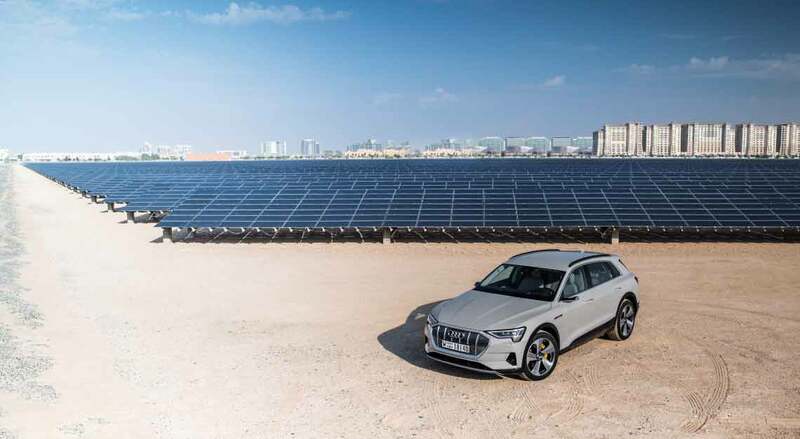 Audi itself has plans to release an entire family of e-trons, with the e-tron Sportback and e-tron GT arriving this year and in 2020 respectively. So, what of the way the e-tron looks then? Could that at least get me all hot under the collar? Er, not quite. Sized in between the Q7 and Q8, the e-tron looks positively anonymous. To be certain, it’s not ugly, but apart from a lack of tailpipes, some safety orange accents (calling to mind high-voltage electrical cables) and e-tron badges, there isn’t a lot to suggest that this isn’t any other Audi SUV. 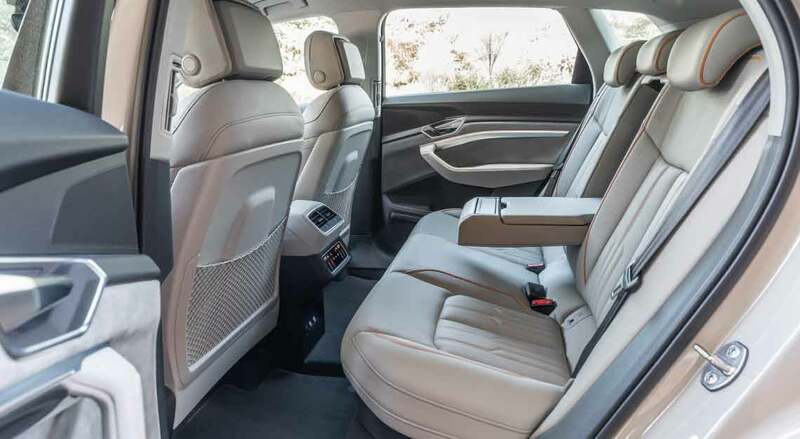 But what of its spectacular interior, you might be wondering. On the basis of its sense of occasion, surely that would be enough? At the very least, its build quality a sight better than anything Tesla can muster up these days. 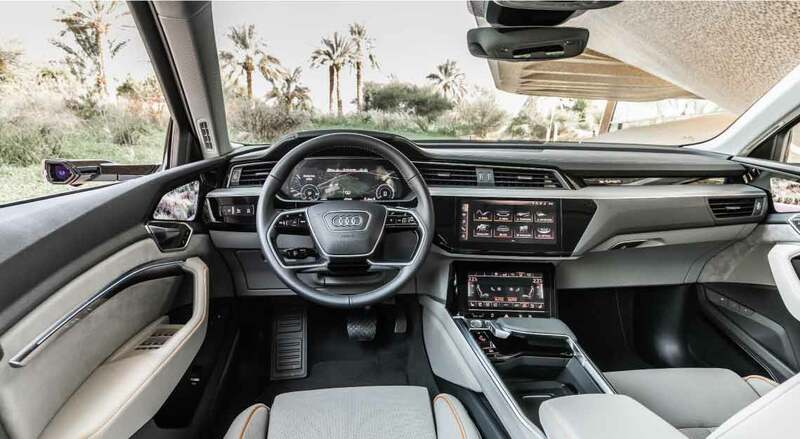 The e-tron’s interior very much follows Audi’s current design idiom, that is to say, lots of leather, lots of brushed metal surfaces and lots of angular surfaces. Also, screens. Lots and lots of screens. Its instrument cluster is an all-digital affair, and its centre stack is taken up by a pair of touchscreens. The upper 10.1-inch panel houses the main infotainment functions such as the sound system, navigation, telephony and installed apps. The lower 8.6-inch display is used mainly to control the HVAC functions. The e-tron goes one further and adds a pair of 7-inch screens to the insides of the doors. But only if you pay Audi for the privilege of having what it calls “virtual exterior mirrors”. A pair of rearward-facing cameras takes the place of conventional wing mirrors, with the image they capture displayed on a pair of screens just above the door handles. But impressive as all that may be, one rather expects all from vehicles in its segment and at its price point (I’m guessing it’ll cost around $400,000 once it lands here in the third quarter of this year). In fact, it’d be more surprising if the e-tron didn’t have all that. And this lack of surprises continues onto the way it drives. Throttle response is, erm, electric, with all 664Nm on tap as soon as you can think it. 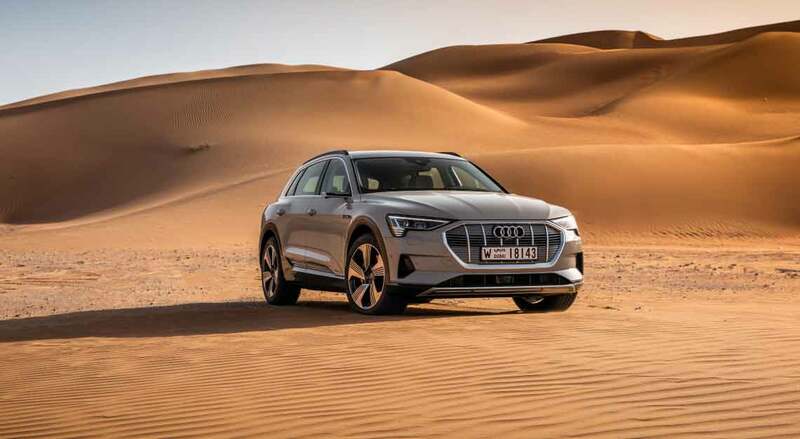 Refinement is top-notch, and if the e-tron can handle the United Arab Emirates’ endless stretches of flat tarmac well, it can probably work anywhere in the world. Supposing you want to turn your e-tron into an ersatz hillclimb race car, it’ll handle that gamely as well. 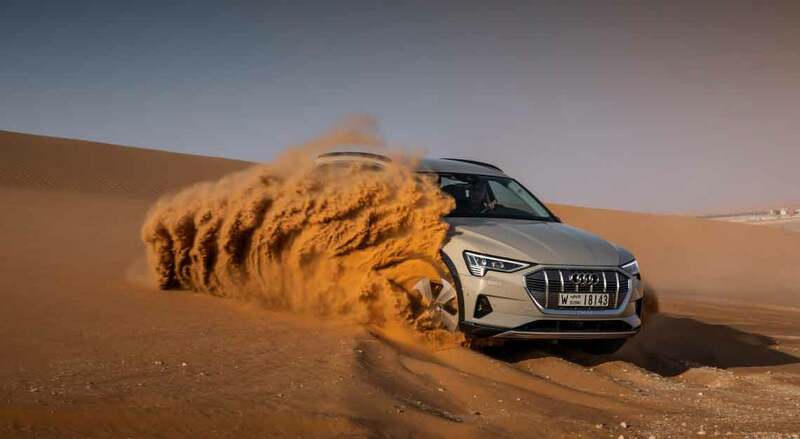 The agility this 2.5-tonne SUV showed 11.7km route up Jebel Hafeet, one of the Emirates’ tallest peaks, beggars belief. Clever electronics handle the heavy lifting of deciding how much torque to send to the pair of electric motors driving the front and rear axles. No spinning wheels, slides or any other such drama; the e-tron just gets on with the job of putting as much power to the road as possible. In short, it feels just like any other Audi. And this is a very good thing. You see, Audi isn’t gunning for the early adopters or the tech nerds. Choosing to debut this instead of the e-tron Sportback or the e-tron GT is proof that it’s going after more conservative buyers. You know, the sort that doesn’t want to make too many concessions to their regular driving habits. 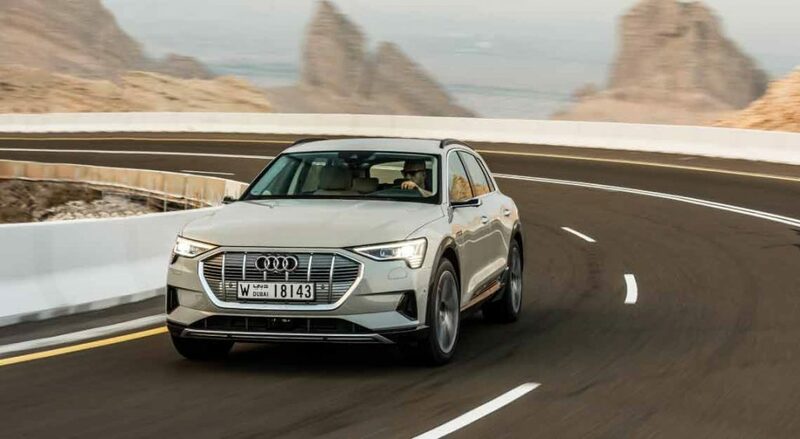 Even with the regenerative braking at its most aggressive, you’ll never truly achieve ‘one-pedal driving’ in the e-tron. 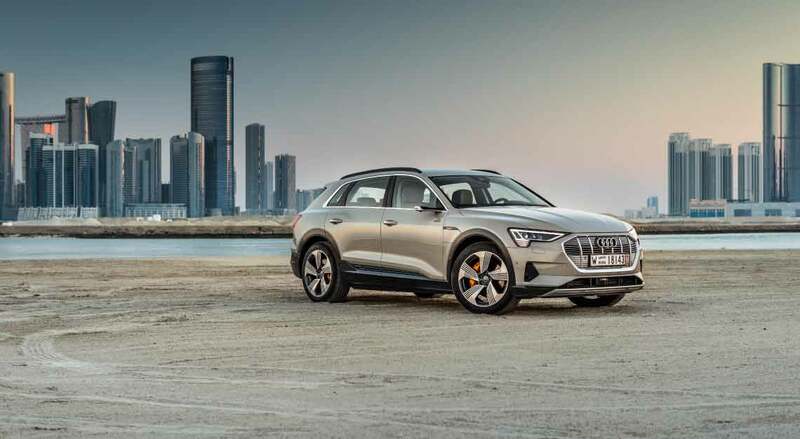 But with the e-tron, you’ll get to enjoy the benefits of one-pedal driving, and the maximum brake energy recuperation it brings. That’s down to how the brake pedal is coupled to the regenerative braking system, with the mechanical stoppers only called into action when the former’s limit of 0.3g is exceeded. Audi says that in most situations (up to 90 percent of the time), only the regenerative brakes are used. 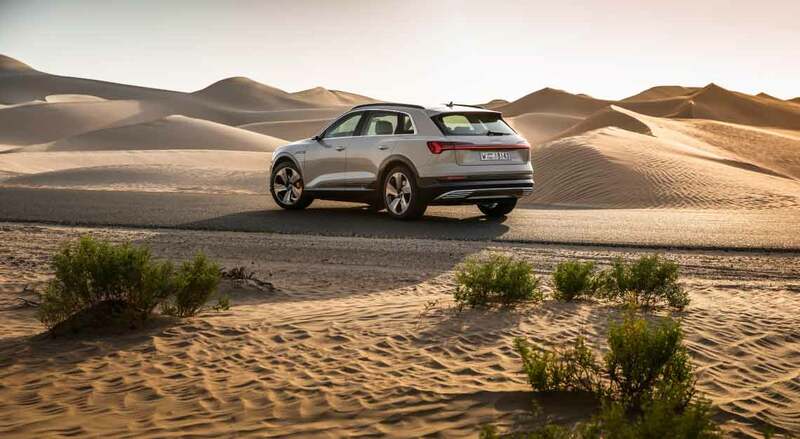 Given that, the e-tron’s impressive range and Audi’s impressive build quality and its impressive practicality, this is probably the best way to experience premium electric motoring at the moment. 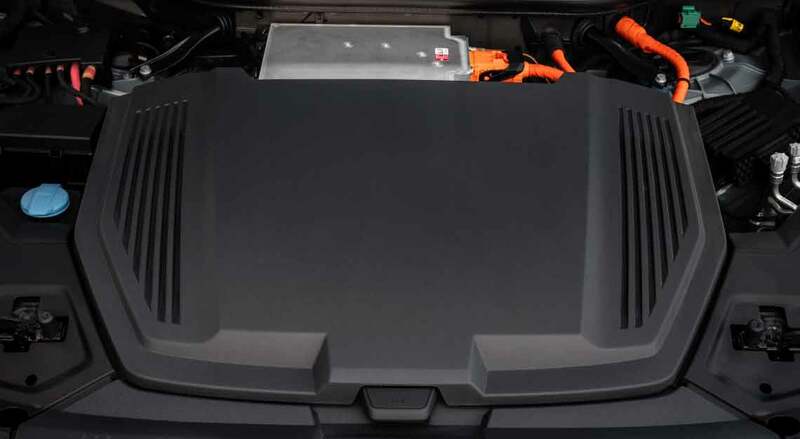 It’s the most conventional premium electric car on the market, bar none. Whether that’s a good thing or not is entirely dependant on your point of view, however.